Moisturizers seem like they should be a pretty straightforward type of skin care product, but few things in skin care are ever simple. Moisturizers have their share of myths and misconceptions, too. We’re busting the most common moisturizer myths so you have honest, research-supported information to make the best decisions for your skin! Myth: If you apply moisturizer every day your skin becomes lazy and loses its ability to stay hydrated on its own. Truth: Skin doesn’t “get used to” being hydrated and forget how to stay hydrated on its own. It isn’t physiologically possible any more than your body gets used to drinking water or eating healthy foods daily. Your body needs help staying hydrated and healthy and your skin needs help too, just in a different way. Over time, skin loses its ability to stay naturally hydrated as it did when we were young. This occurs for a variety of reasons, but mostly because of sun damage and age. Climate also plays a part: Arid conditions can be a problem, especially if you aren’t giving your skin what it needs like a brilliantly-formulated moisturizer . Skin can also become dry from using bad skin care products such as abrasive scrubs, harsh cleansing brushes, and fragranced products. Often, all it takes to get skin back to normal is using better products so it can recover. The problem of dryness may indeed go away when you stop damaging your skin. Myth: Skin can become addicted to moisturizer. Truth: This one is a bit confusing because if your skin is naturally dry (from genetics) or becomes dry (because of an impaired surface barrier due to sun damage and age), the dryness will be instantly alleviated by routine application of a moisturizer. You can’t repair the damage that caused the dryness, but you can improve the condition (and maintain the improvement, just like your diet does for your body). Skin cannot become physically or psychologically addicted to moisturizer in the way a person can be addicted to cigarettes or illicit drugs. What can happen with routine use of facial or body moisturizer is that we become accustomed to our skin feeling and looking a certain way, and dislike how our skin feels in its un-moisturized condition. So, we keep applying moisturizer to maintain the feeling we like. This isn’t addiction or dependence; we’re not compelled to do this because the urge is too powerful to overcome—we do it because that’s how we like our skin to feel and what it needs to look the way it did when it was young. Myth: You only need to moisturize if you wash your skin daily. Truth: Some of us over-cleanse or over-scrub our skin, which steadily depletes the naturally-occurring substances that keep skin intact and hydrated (like ceramides, fatty acids, or hyaluronic acid). But by using a gentle, fragrance-free face wash, a mild, soap-free body cleanser and avoiding long baths or showers (which break down skin’s moisture-protecting barrier) you can cleanse daily without worry of dehydrating skin. From there, the kind of moisturizer you need depends on your skin type and concerns. Myth: You only need moisturizer if you have visibly dry, flaky skin. Truth: Not so, and it would be a terrible mistake to believe this one! Regardless of your skin type, as long as you choose a moisturizer with beneficial ingredients and a skin type-appropriate texture (cream for dry skin, gel or liquid for oily skin, and lotion for normal to combination skin), you can absolutely gain amazing benefits from using one. 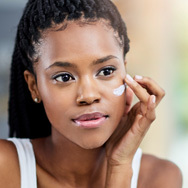 However, you can also get those must-have ingredients from other types of skin care products (such as face serums, treatments, boosters, and toners); a product doesn’t have to be labeled “moisturizer” or have a creamy texture for your skin to get what it needs to be healthy. As a special tip to those struggling with flaky skin and breakouts trying to find the best moisturizer for acne : choose one that’s oil-free and has a sheer, lightweight texture that won’t clog pores. Myth: You need different moisturizers for different parts of the body. Truth: This completely depends on your skin type and conditions. For example, if you have an oily complexion but dry skin on your legs, then yes, you’ll benefit from using two different moisturizers. Personal preference also plays a role: you may prefer lightweight lotions or gels for facial hydration but love the protective feel a nourishing body cream leaves. What’s also true is that any facial moisturizer can also be applied from the neck down and any well-formulated body moisturizer can be used on your face, assuming it’s appropriate for your facial skin type. Skin anywhere on the body will benefit from routine application of antioxidants, skin-replenishing-ingredients, and skin-restoring ingredients. All of these keep skin healthy, supple, and resilient and you can apply them in cream, lotion, gel, or liquid to your face, neck (you don’t need a separate neck cream) and the rest of your body.